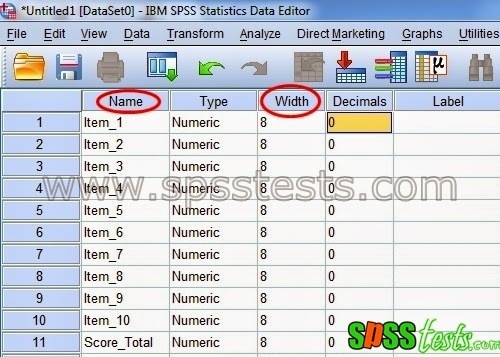 How to Test Validity questionnaire Using SPSS | The validity and reliability the instrument is essential in research data collection. Therefore, the correct data will be determining true the results of research quality. While true or not the data is highly dependent on true or not the research instrument. Validity is a measure of the degree of validity or the validity of a research instrument. An instrument is said to be valid if it is able to measure what is to be measured or desired. An instrument said to be valid if can be reveal the data of the variables studied. In quantitative research instrument that is often used is in the form of a questionnaire. The questionnaire is a technique of data collection is done by giving a set of questions or a written statement to the respondent to answer. To determine true the questionnaire compiled it valid or not it is necessary to test validity. 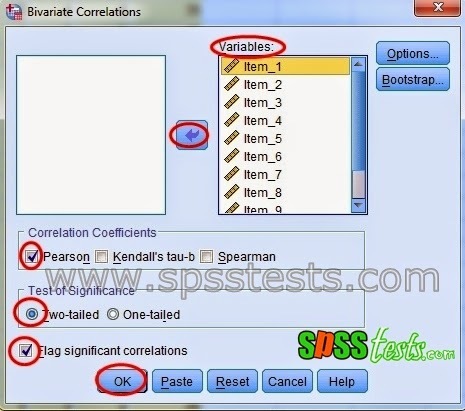 Test the validity of the questionnaire was conducted using Pearson Product Moment Correlations using SPSS. The validity test Product Moment Pearson Correlations done by correlating each item questionnaire scores with the totally score. Item-item questionnaire that significantly correlated with total score indicates that the items are valid. A researcher wants to find out whether the questionnaire that he has made about the performance variables officer valid or not. There are five alternative answers to the Likert Scale, namely: 5 = Very Good, 4 = Good, 3 = Fair, 2 = Not Good, 1 = Very Not Good. The questionnaire was given to 40 respondents with a number of questions there are 10 items. Data were obtained as follows. 2. Turn on Variable View and define each column as shown below. 3. After filling Variable View, you click Data View, and fill in the data tabulation of questioner. So that looks like the following. 6. Click OK, to end the command. 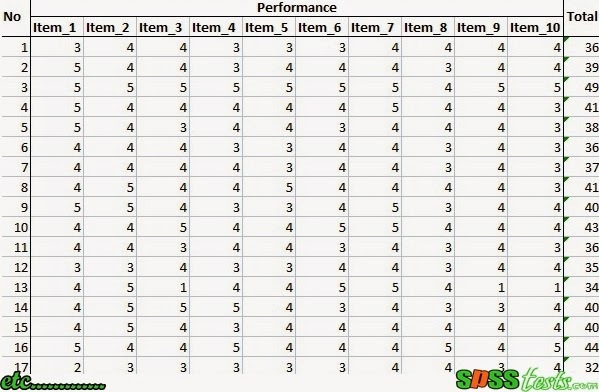 Based on the output above in mind some values like: Perason correlation or correlation value between of the item or the item with a total score also known as rxy. Sig. (2-tailed) was a significance level of 5%, while N is the total of survey respondents is 40 people. As explained above that to identify whether an item questionnaire was valid or not, can be done by looking at the value of the significance or compare the values rxy with r table product moment. As an example I will interpret the validity of the test results on the first item. Based on the significant value obtained by the Sig. (2-tailed) of 0.000 <0.05, so it can be concluded to item 1 was valid. Based on the count value obtained rxy 0.613 > r table product moment 0.312, so it can be concluded that the item 1 was valid. Note: for value r table product moment can be searched on the distribution of the r table product moment 5% significance with N = 40, then the value will be r table product moment equal to 0.312. After completing the test the validity of the research instrument, the next step to determine the consistency and reliability of a questionnaire as a research instrument, the researchers need to test reliability. 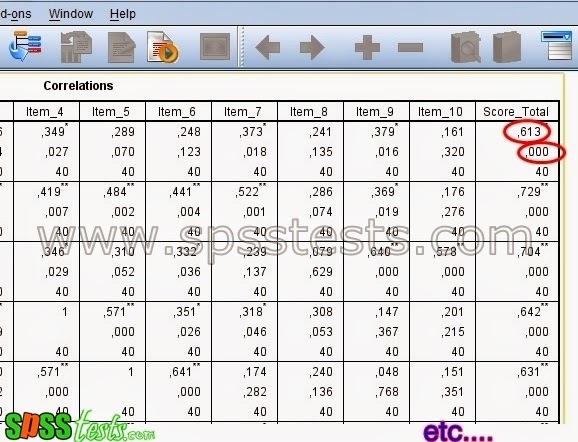 19 Responses to "How to Test Validity questionnaire Using SPSS"
Hi, mind to guide and show how to get the part 0.312 from "Based on the count values obtained rxy 0.583> r table product moment 0.312, so it can be concluded that the item 1 was valid." r = 5% significance with N=65, the value will be r table product moment equal to 0.312..
Really appreciate if can tell how to get it.. as i key in all data from downloaded form. 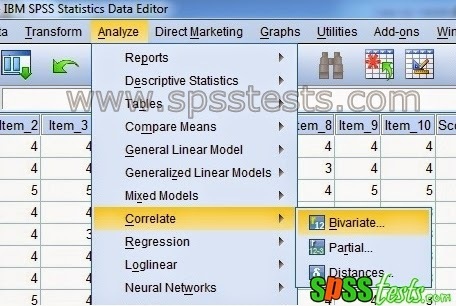 This website is one of the best to learn spss by the way. There is no column for Score_Total. Do we need to sum up manually (excel)? Do we need to check correlation of a variable to each of remaining variables (items)? Is only p-vale required for estimating if an item is valid/ invalid)? Can you please explain again the interpretation part. @atulschauhan, yes, you need to sum up manually in excel or use compute variable function in SPSS to come out a new total column or variable. it is same my note. I have designed a questionnaire and now would like to test the validity of, how can I do that? would you please guide me! How we can test the validity with the total mean scores? please help.. I wonder where could i find N value if it is more than 80? Very helpful! Thank you for the great content. 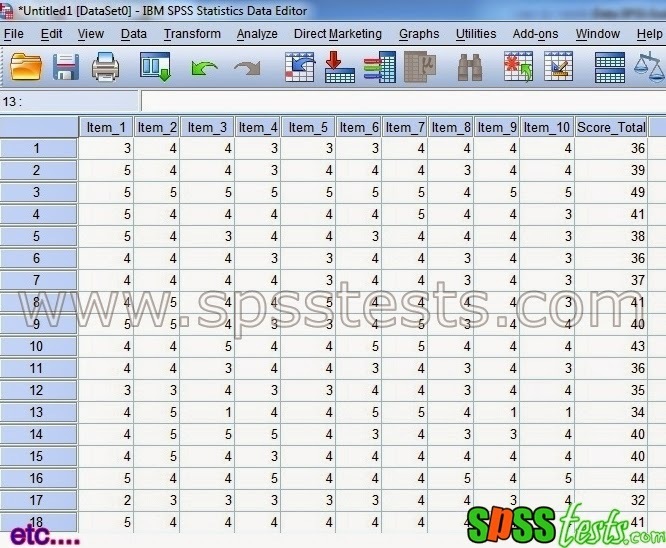 Can you tell me what validity SPSS evaluate? face validity, construct validity, content validity and criterion validity (concurrent and predictive validity). These validity is internal and external ?